Hey guys! I hope everyone is enjoying their sumer so far! 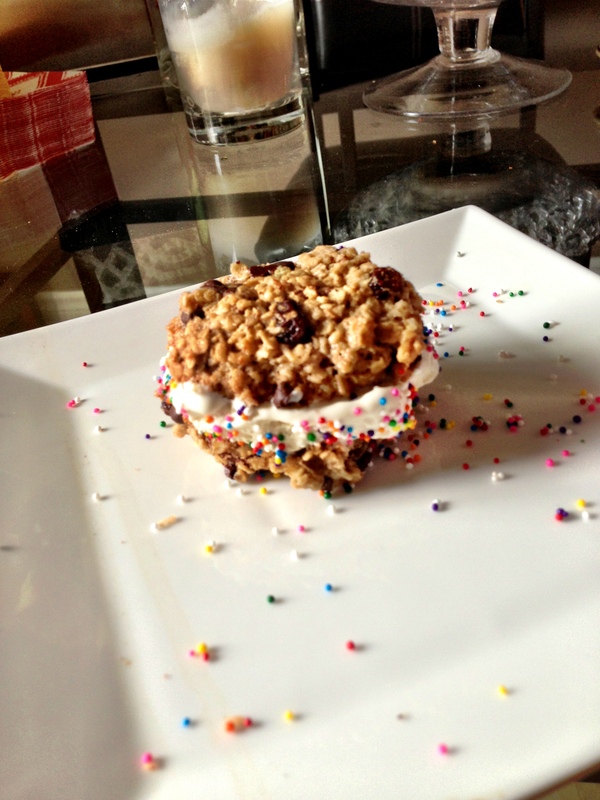 This was my first time making any kind of Ice Cream Sandwich and they turned out great! 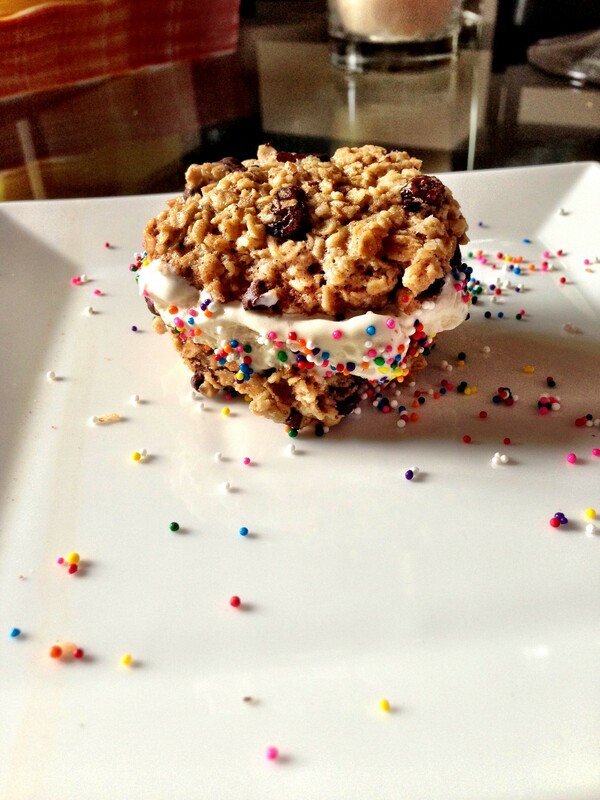 The cookies are Vegan and Gluten Free and you can use any kind of ice cream filling that you’d like. In large bowl, whisk sugar, coconut oil, salt, water, and vanilla extract until combined. Stir in gluten-free flour, rolled oats, coconut, baking soda, raisins and chocolate chips until combined. Using a tablespoon, scoop onto baking sheet, spacing evenly apart and gently press to about 3/4-inch thick. Bake until lightly golden around the edges, about 10 minutes. Cool on pan for about 10 minutes, then transfer to a cooling rack. Let the cookies cool completely. To make the ice cream sandwiches you’ll need a pint of vanilla ice cream of your choice. Simply scoop in small amounts onto one upside-down cookie, top with another cookie, and then press down. Add sprinkles or chocolate chips to the sides. Wrap in plastic wrap and freeze to set is optional if you’re making several for later on. Or make them as you go and serve immediately. I’m sure a lot of you have been hearing the terms “GMO” and “Monsanto” lately. 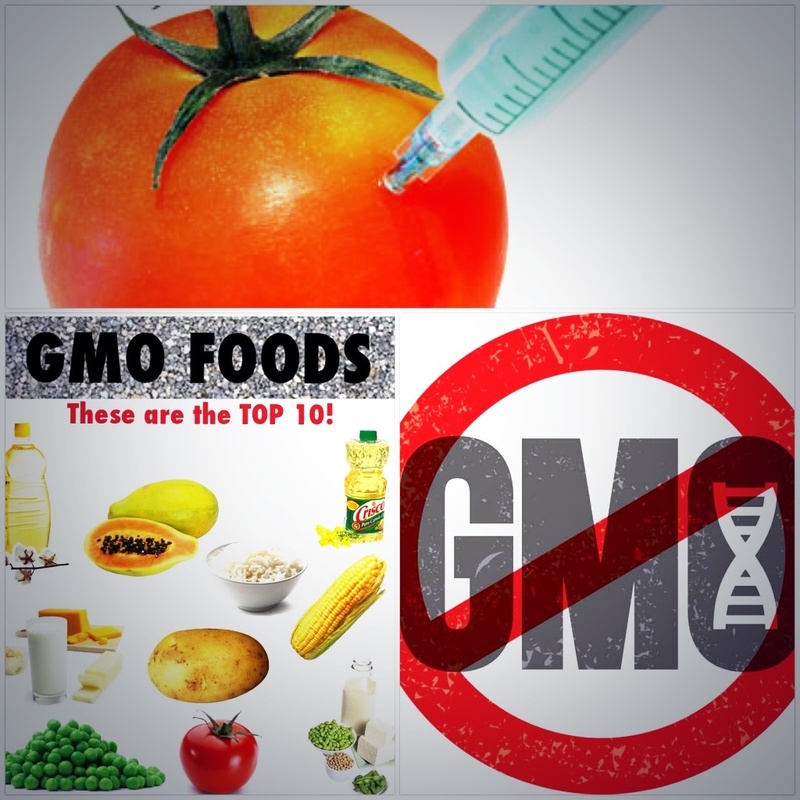 Genetically modified organisms (GMO’s) are in many of the foods that we consume. The fact that we don’t have any idea if we are eating them or not is pretty unsettling. Monsanto is the worldwide company that manufactures these food products, and worse off they are protected by the Government. It has been recently banned in Europe, but not yet in North America. Many are protesting to have GMO food labeling be put into place, as we have a right to know what we are consuming. GMOs are responsible for many negative side effects on the planet and in humans such as cancer, infertility, toxicity in the body…the list goes on. 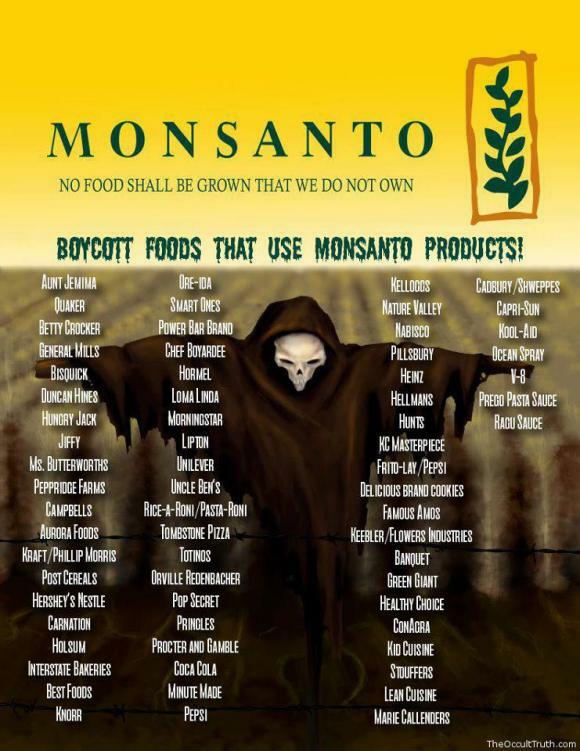 Below is a list of companies that use Monsanto products. Stay informed!